Contouring with a shade a little darker than your own skin tone is the easiest way to achieve this look. But if you're not a skilled makeup artist or have lots of time to study videos and tutorials, it may not seem like something the average makeup wearer can achieve. But with complimentary shades in perfect textures, the new NARS Contour Blush, gives you everything you need to make shaping and defining your face practically goof-proof! Each duo of powders (there are 3 shades in the line), offers a luminous powder finish with a lighter shade (to illuminate areas like the cheekbones, brow bones, nose bridge) and a darker shade to enhance definition (in areas such as in the hollows of the cheeks, along the sides of the nose, and the jawline). The texture of the powder is very smooth, finely milled and easy to blend. It's also extremely lightweight, so you won't "feel" like you've contoured your face with lots of product. The shade that worked best with my skin tone was Gienah (shown, above), which is the darkest of the three. It features a honey toned lighter shade and a deep brown Amber shade. The powder doesn't contain any shimmer or glitter, but the illuminating effect is quite nice, as it's more of a natural sheen. They powders are long lasting, working for me during a full 8+ hour day with little to no fading. Note: One of my favorite makeup artists, Lisa Eldridge, has a wonderful online video about basic powder contouring for those of you who would like to learn more. 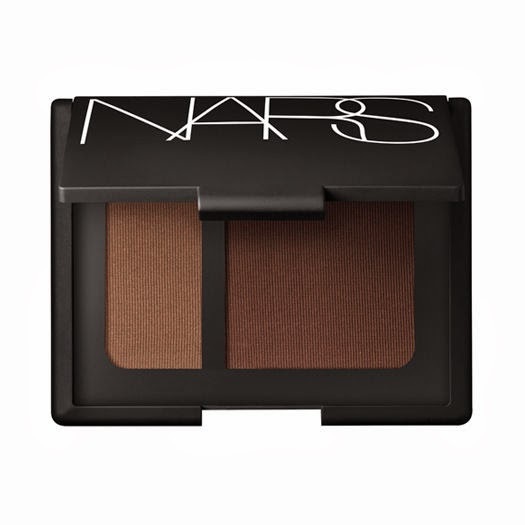 This product was provided courtesy of NARS PR for reviewing purposes.